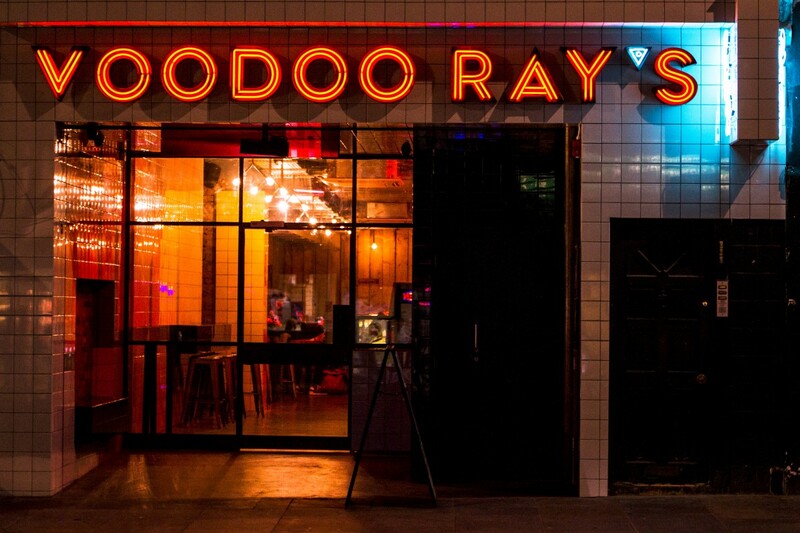 Voodoo Ray’s, a trendy New York-style pizza place and cocktail bar, quickly became a popular part of the local East London scene after opening in 2012. 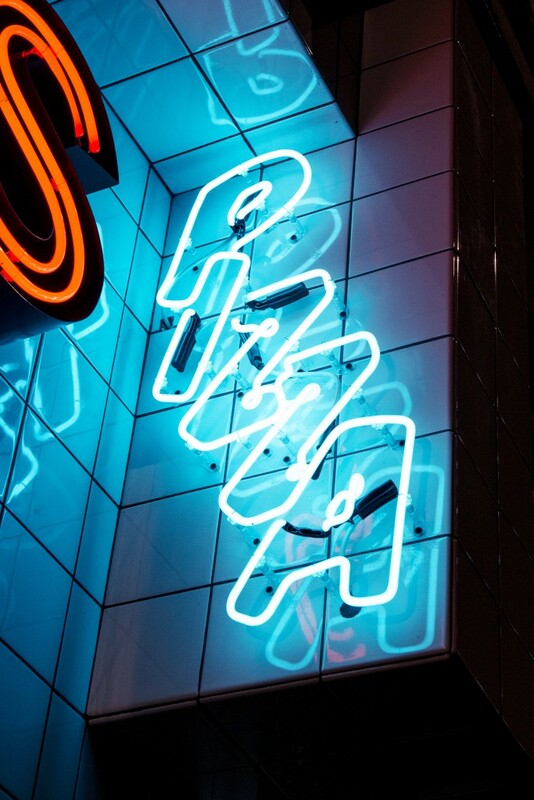 This was due in part to its funky neon exterior (and its delicious pizza-by-the-slice), custom-made by Kemp London to complement the shop’s existing geometric stylings. 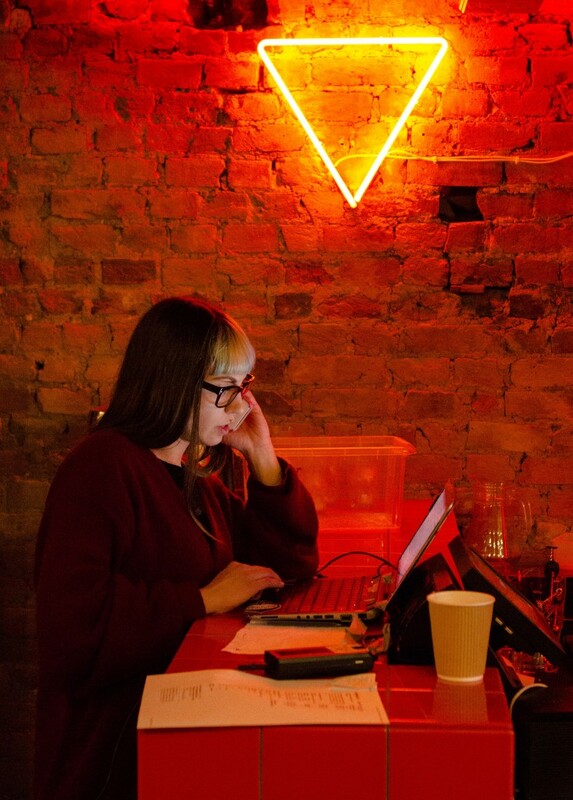 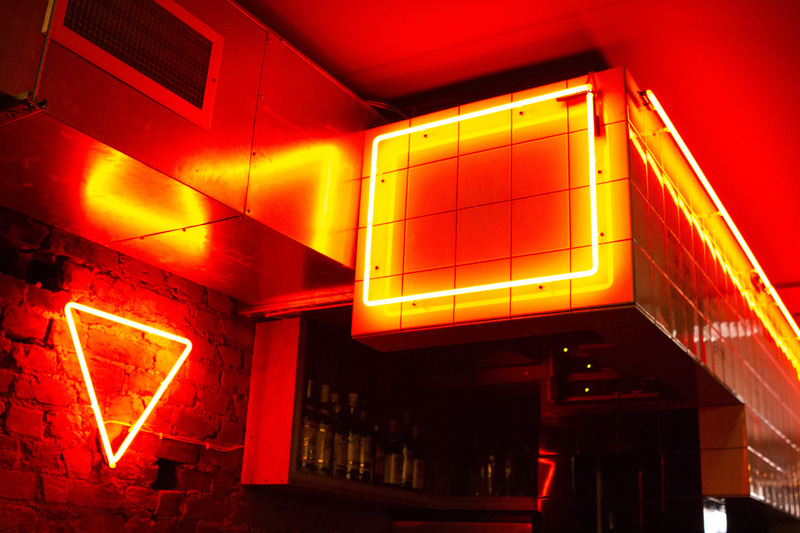 Kemp produced and installed the built up metal letters with double outlined red neon centres – signage which is now a familiar sight to any Dalston resident. 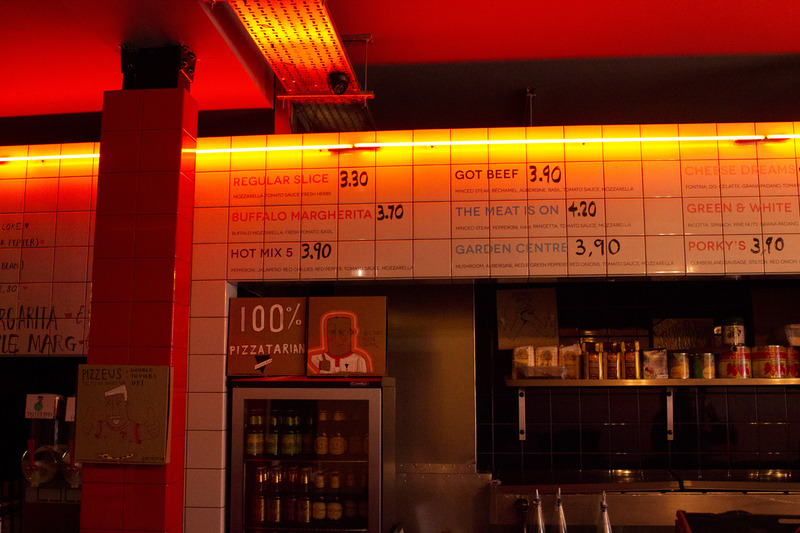 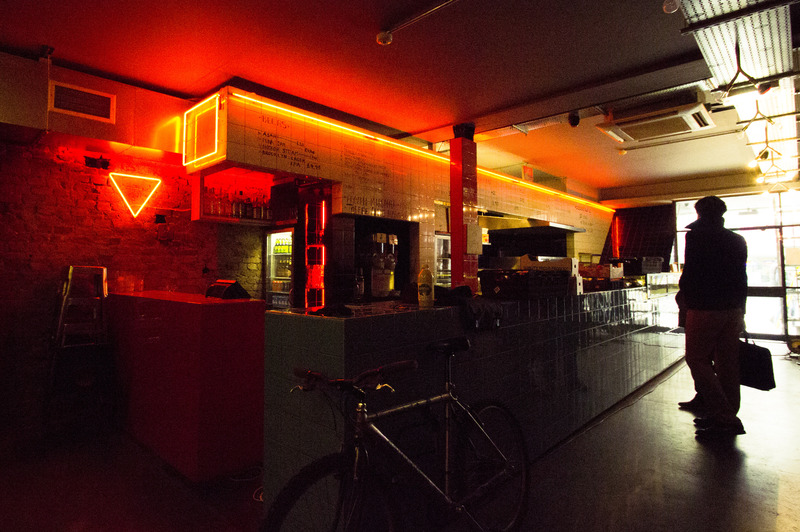 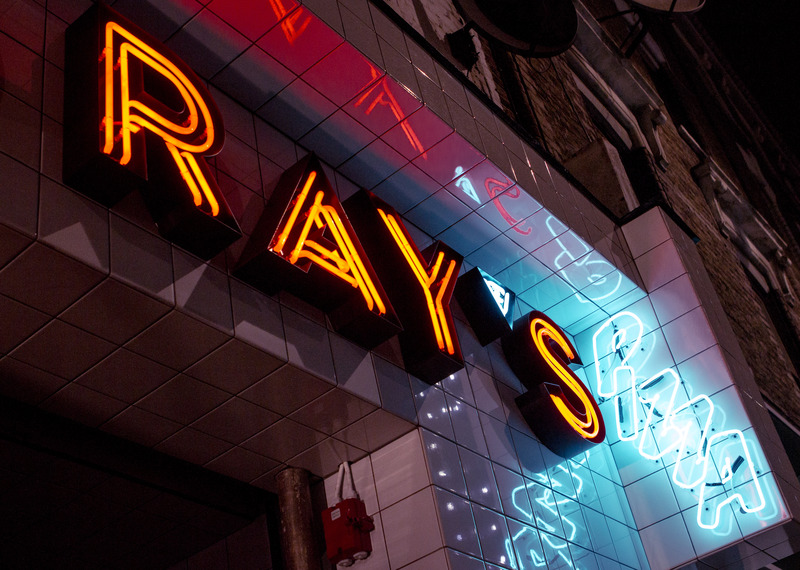 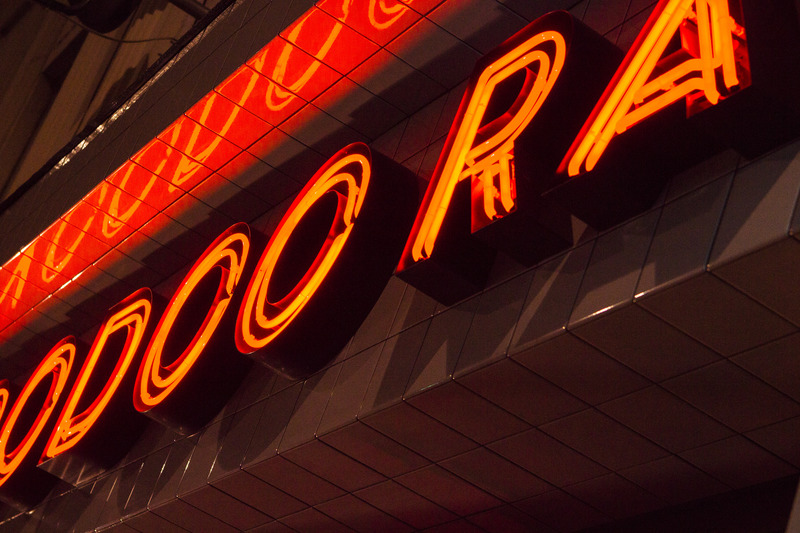 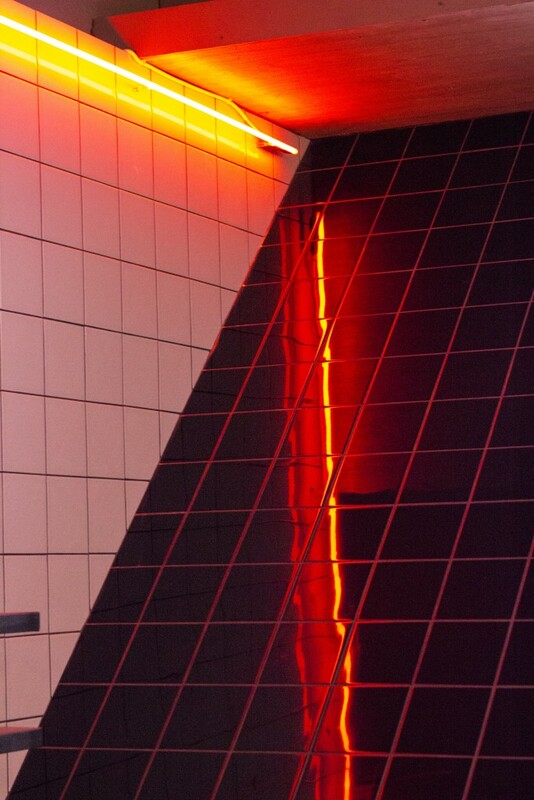 In addition to producing the painted metal letters for Voodoo Ray’s outer facade, Kemp London also produced interior neon signage for the interior wall space and around the bar, helping Ray’s achieve a unified visual groove. 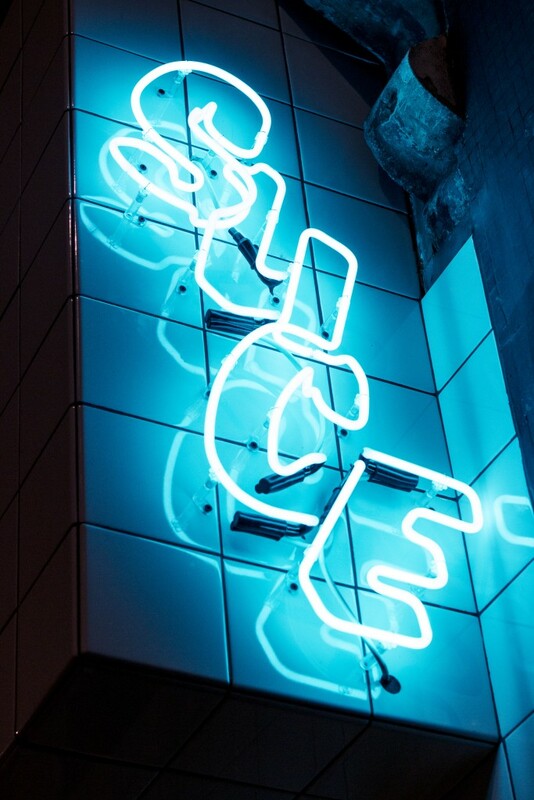 Since its opening, Voodoo Ray’s has continued to call on Kemp for their signage needs, which recently included a fabricated neon sign to bolt to the roof of the restaurant’s mobile food truck, turning the shop into a recognisable mobile brand.